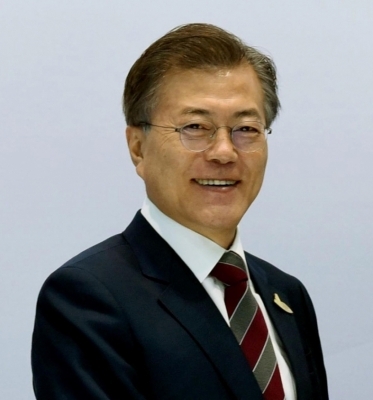 Seoul Sep 14 (IANS) South Korean President Moon Jae-in will fly directly to Pyongyang next week for his third bilateral summit with North Korean leader Kim Jong-un an official from the presidential office said here on Friday. The means of travel for the South Korean leader was agreed to during the working-level talks on Friday in the border village of Panmunjom that involved working-level officials from both Koreas Yonhap news agency reported. Moon will land at the Sunan Airport in Pyongyang for his summit with Kim as was done by the former South Korean President Kim Dae-jung in 2000 to attend the first inter-Korean summit in history also held in the North Korean capital. Moon and Kim held their first-ever summit in Panmunjom on April 27 then again on May 26. According to the report officials at Friday s meeting were believed to have discussed Moon s itinerary along with the sequence of events to be held which will likely include a welcome dinner hosted by Kim. Presidential spokesperson Kwun Hyuk-ki said an advance team of delegates will head to Pyongyang on Sunday via a land route. Seoul has said the sides have agreed to keep the total number of South Korean visitors to under 200. It is understood that top officials from the ruling Democratic Party such as Lee Hae-chan the newly elected chief of the Democratic Party and business magnates including Lee Jae-yong de facto head of Samsung Group will be included in the entourage accompanying Moon to Pyongyang. between Pyongyang and Washington on the denuclearization of the peninsula. North Korea has been demanding to speed up the signing of a peace treaty that would formally end the state of war on the peninsula in exchange for taking concrete steps to dismantle its weapons as demanded by the White House. Washington has said that it needs more guarantees -- that Pyongyang allows for example the entry of inspectors and reveals its weapons inventories -- before drawing up an outline of the peace treaty and lifting sanctions on the regime.